In stock -This product will ship today if ordered within the next 12 hours and 42 minutes. True Food Selenium has been bio transformed for easy digestion and absorption. Selenium helps the body maintain and support healthy cardiovascular, immune, liver and male reproductive functions. Researchers believe that Selenium is an important antioxidant mineral for the body`s general well-being. In True Food Selenium, selenium has been bio-transformed by a culture of Saccharomyces cerevisiae to a true food form for easy digestion and absorption. Selenium is needed for the body’s own antioxidant enzyme, glutathione peroxidase. It also helps to support the eyes, skin, hair, pancreas and joints. Selenium is a trace mineral that is essential to good health. Selenium is incorporated into proteins to make selenoproteins, which are important antioxidant enzymes. Selenium enriched Saccharomyces cerevisiae (enzyme digested) (with soya); natural Lithothamnion calcarea, anti-caking agent: stearic acid*, anti-caking agent: magnesium stearate*, anti-caking agent: silicon dioxide; coating: methylcellulose, glycerine, natural vanilla flavouring (agave syrup; flavour: vanilla extract; colour:caramel). Adults: Take 1 tablet a day, or as your health professional advises. Children over 8 years: Take 1 tablet every other day, or as your health professional advises. Below are reviews of True Food Selenium - 60 x 200mcg Tablets by bodykind customers. If you have tried this product we'd love to hear what you think so please leave a review. Selenium is crucial for the thyroid and immune system and each tablet has good amount of selenium. Very well priced. This product seems to be very good. Since taking it my thyroid has improved. These are excellent and lasted ages. 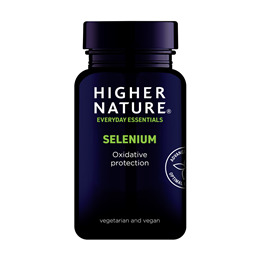 Question about True Food Selenium - 60 x 200mcg Tablets Are the True Food supplements suitable for those with an intolerance to yeast? 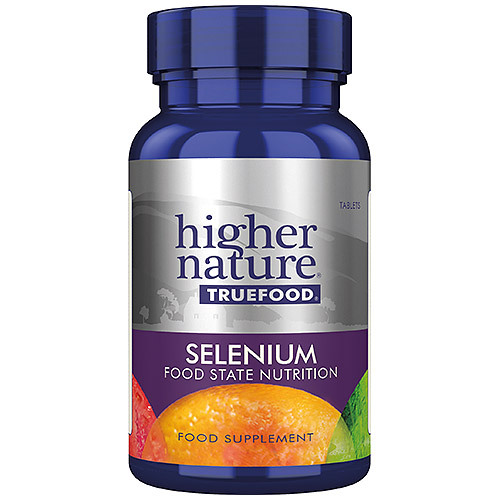 Question about True Food Selenium - 60 x 200mcg Tablets Are the nutrients in the True Food range synthetic?